You are protected by a 30-day money back guarantee and world class customer service! Feel free to contact us if there is any problem. We will do our best to help you out. Totally risk free and buy with confidence now! 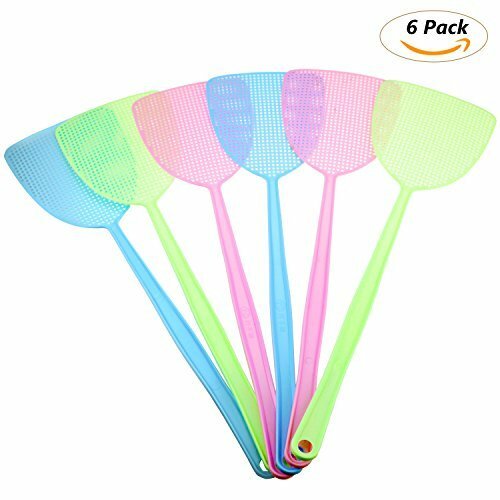 ★ The grid design on the head of the fly swatter can reduce the air resistance and air flow, hit the target effectively! ★ The non-slip pattern on the handle makes a much comfortable grip; the tail hole design allows the fly swatter hanging on the wall. ★ The swatter is made of PP plastic, very soft and flexible, strong compression and foldable. ★ You are protected by a 30-day money back guarantee and world class customer service! Feel free to contact us if there is any problem. We will do our best to help you out. Try It RISK FREE Today! If you have any questions about this product by Homga, contact us by completing and submitting the form below. If you are looking for a specif part number, please include it with your message.